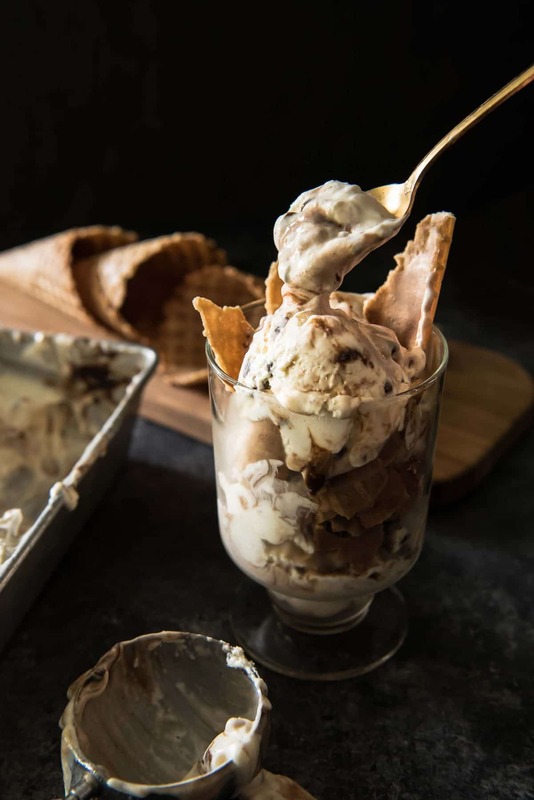 This No-Churn Mocha Toffee Cheesecake Ice Cream is made with only 6 ingredients! 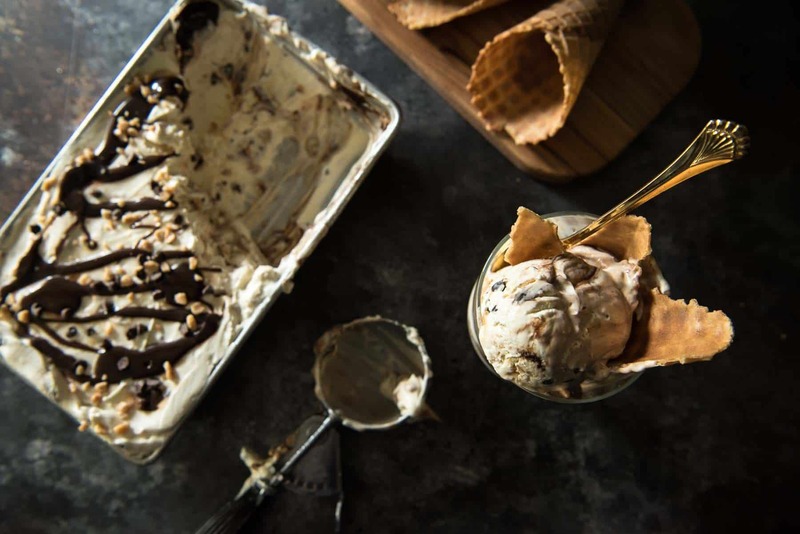 This easy cheesecake ice cream is swirled with hot fudge and toffee bits, and requires no ice cream maker! Before this cone, I was a no-churn virgin. Trust me when I say I’m seriously suppressing the desire to burst into a Madonna parody right about now (but I won’t inflict that kind of pain on you.) Instead, I bring you ice cream of the most delightful persuasion! 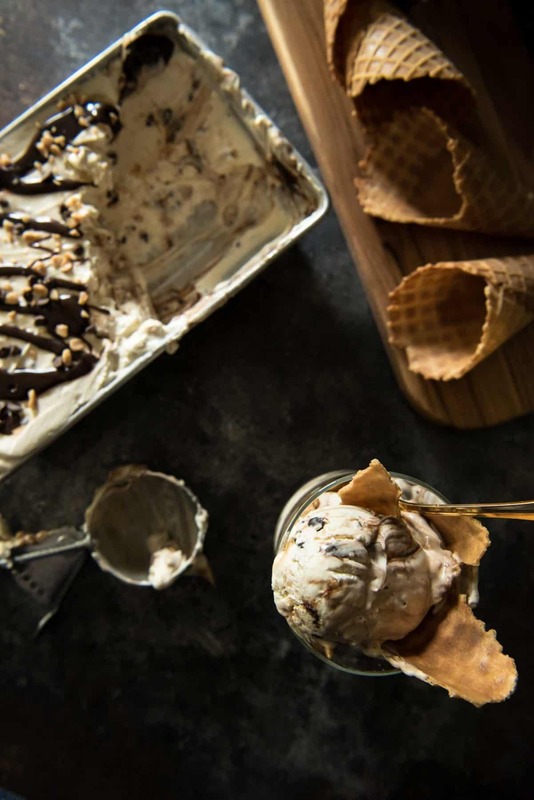 If you only make homemade ice cream once in your life, make sure it’s this one. It looks simple, and with only six ingredients, it really is. The easy execution is my favorite part! I finally invested in an ice cream churn attachment for my KitchenAid mixer (<– affiliate links!) years ago after having my mixer for quite a while. 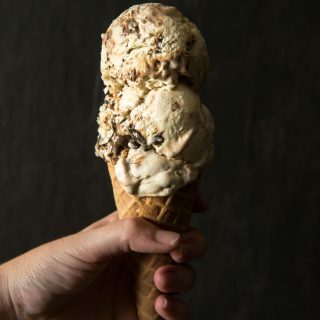 I was convinced I’d be making all kinds of unique, impossible to buy flavors of ice cream, frozen custard, froyo…all of it. Wanna know how many times I’ve used it? Wanna know how many times I’ve used it? The beast sits in my freezer, taking up space on the off chance that I’ll get a wild hair and want some homemade ice cream. It’s pretty difficult to ease a craving when you have to wait hours for it to set. Who wouldn’t just get up and go to the store instead? 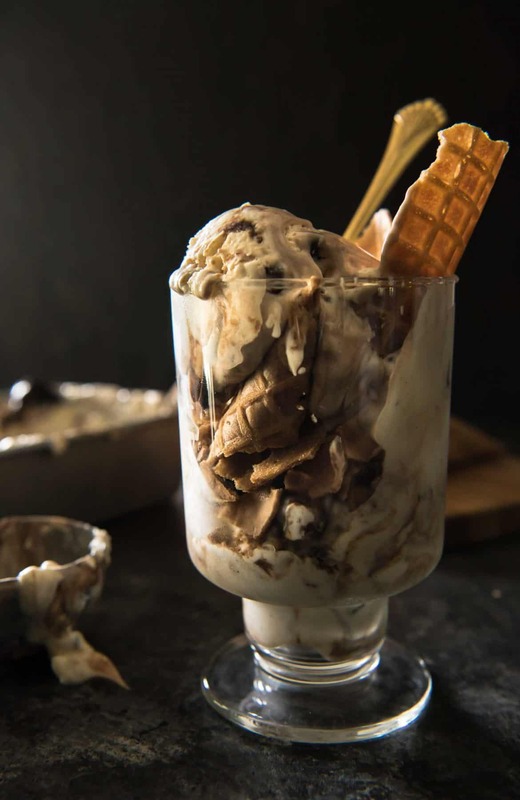 Of course, this no-churn Mocha Toffee Cheesecake Ice Cream takes time to set, as well. BUT there is no cooking of custard base necessary; no 30-minute churn time. It’s just mix -> fold -> pour -> freeze. The road to ice cream joy is a hella lot shorter if you insist on mixing caramel with Oreos and Kit-Kats in the same base. Which is something I would totally do, by the way. 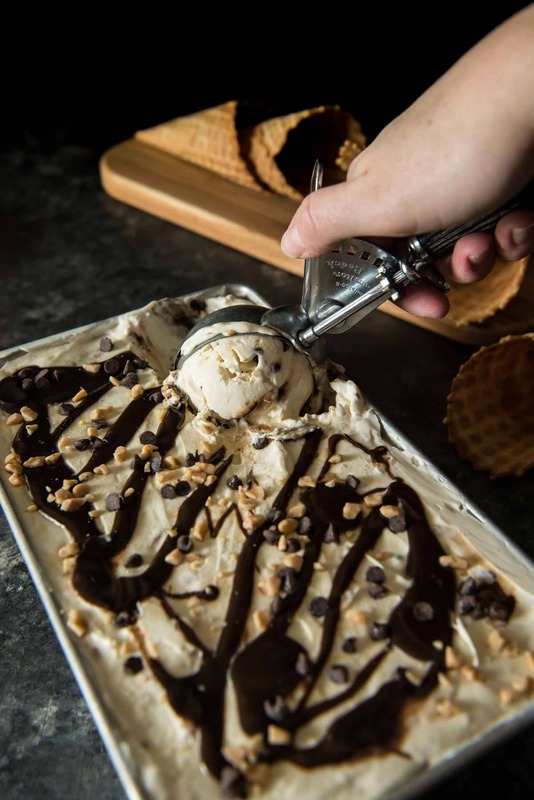 During a random discussion about no-churn ice cream, a few friends of mine confessed that they didn’t care for it. 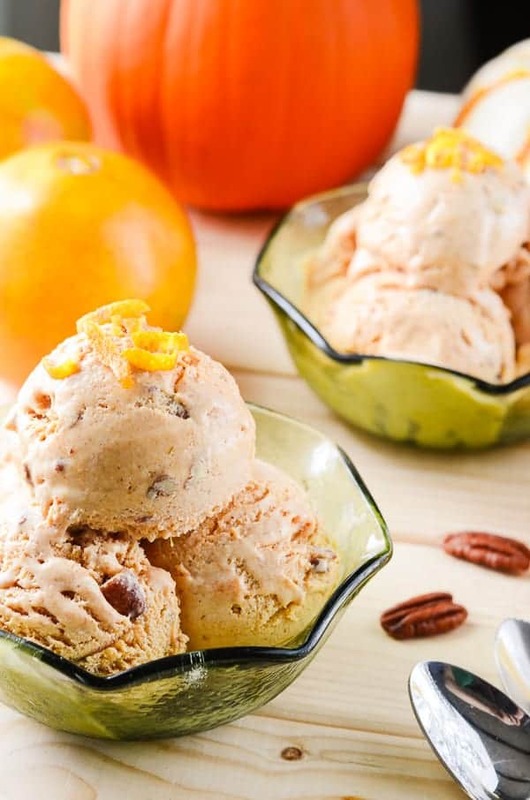 No-churn ice cream does have a bit of a different texture – but not a bad one. I was surprised at how incredibly creamy it is. It’s pretty much the creamiest kind of frozen dessert you could ever eat. Adding the cream cheese to this recipe adds extra smoothness to the texture as well, and just the right amount of tang. But not too tangy! 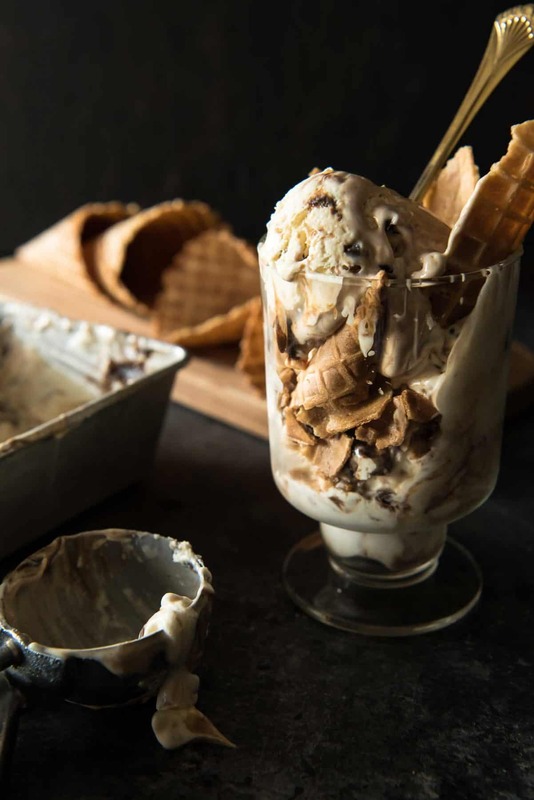 Between the sweetness from the condensed milk and the hot fudge and toffee, you’ll find you don’t even need to add any sugar. Every ingredient, every flavor in this recipe just works. 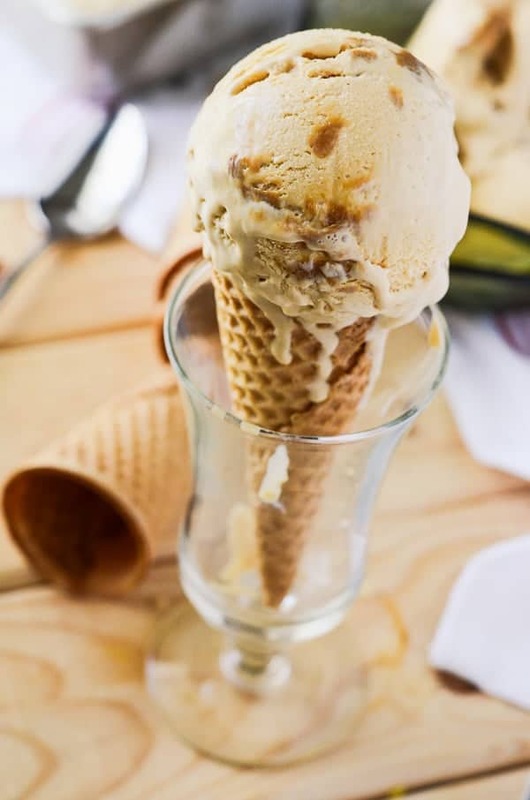 Don’t be afraid to scoop some into a waffle cone and wander outside in the summer heat, either – it melts a bit slower than regular ice cream, too! In a large cold bowl, whip the heavy whipping cream on high speed for about 5-7 minutes or until stiff peaks form. In a separate medium bowl, combine the cream cheese, sweetened condensed milk, and vanilla until blended. Fold in the toffee bits. Gently fold the cream cheese mixture into the whipped cream until just combined. Pour half of the mixture into a freezer-safe container (I used a bread pan). Drizzle with half of the hot fudge sauce. 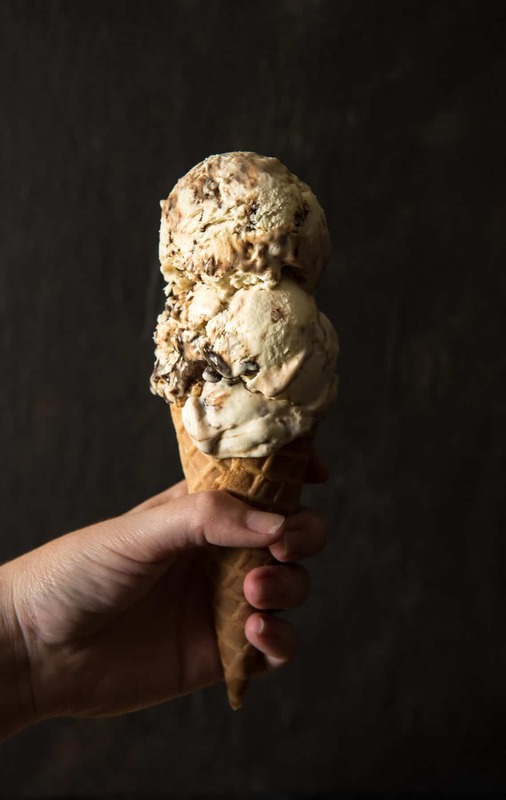 Pour in the remaining ice cream, drizzle with the remaining hot fudge, then top with more toffee bits and mini chocolate chips (if desired). Cover the container with plastic wrap and freeze for at least 8 hours, preferably overnight. Looking for more tasty summer treats? How about another ice cream flavor or two? I love this recipe!! It looks so refreshing and delicious.Perfect for the summer.